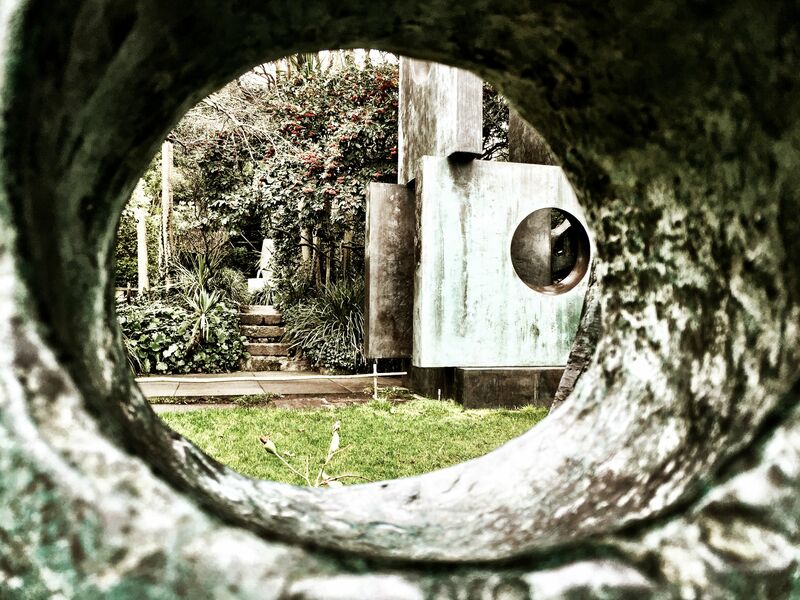 Barbara Hepworth Museum & Sculpture Garden, St Ives. If you are planning at trip to St Ives and fancy soaking up some of the arts culture that the town is famed for, then, hit the bulls eye (The Tate is just off bulls eye) and visit the Barbara Hepworth Museum and Sculpture Garden. It is in the middle of St Ives but off the beaten track, an oasis, up cobbled narrow streets and a real gem. 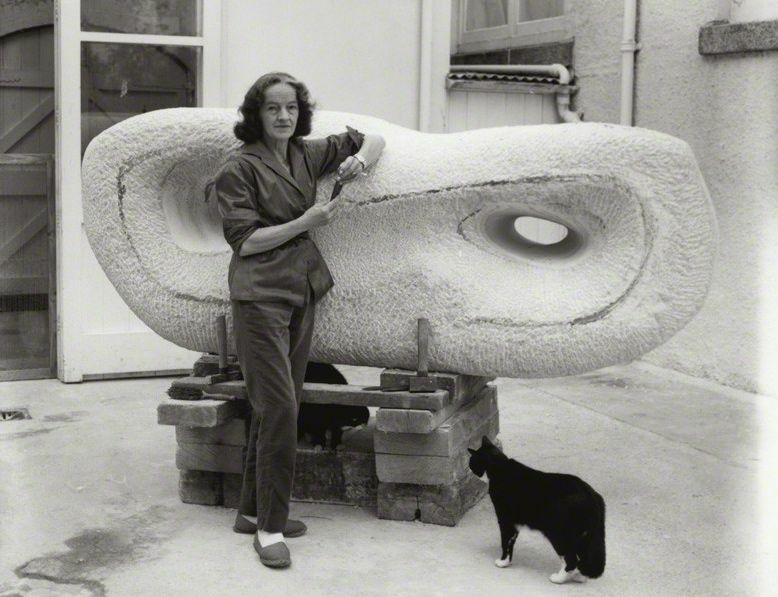 Barbara Hepworth (1903-1975) lived and worked in St Ives for over twenty five years. She was one of few female British artists to achieve international prominence as an artist and sculptor and rubbed shoulders with friends such as Henry Moore and Picasso. She loved St Ives, the community and the Cornish way of life. Born in Yorkshire, she studied and worked in London before moving to Cornwall at the beginning of World War II. Famous for her sculptures with holes, she developed a style based on abstraction inspired by many of the European avant-garde artists she met in the 1930s. Her move to Cornwall renewed her interest in the natural world and emphasised the links between her sculptures and the coastal landscape of West Cornwall. Her studio and garden in St Ives is now a museum and gained this status within a year of her death in 1975. It is truly as if Barbara just stepped outside and never came back. 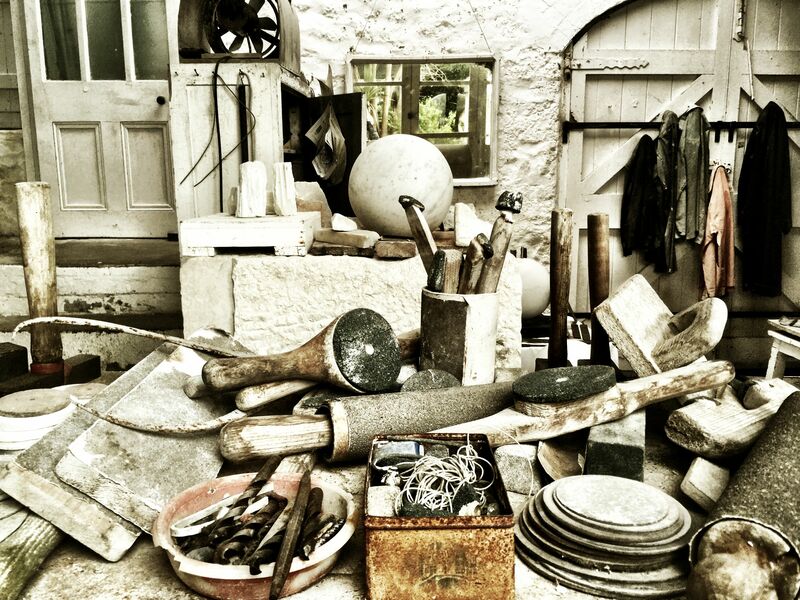 Her stone workshop is exactly as she left it, her red handled tools randomly scattered about work in progress, her coats for all weathers still hang on the back of the door where she left them. Step inside her potting shed and Bougainvillea vines twist artistically around her sculptures. A dusty cacti collection somehow looks magical, perhaps a source of inspiration. Sit in one of her old canvas chairs (which I am amazed they allow you to do) and soak up her world. Listen to the sea roaring in the distance, as gulls call overhead. Walk through her garden full of her giant-sized artists proofs and you cannot help but admire and fall in love with her work. 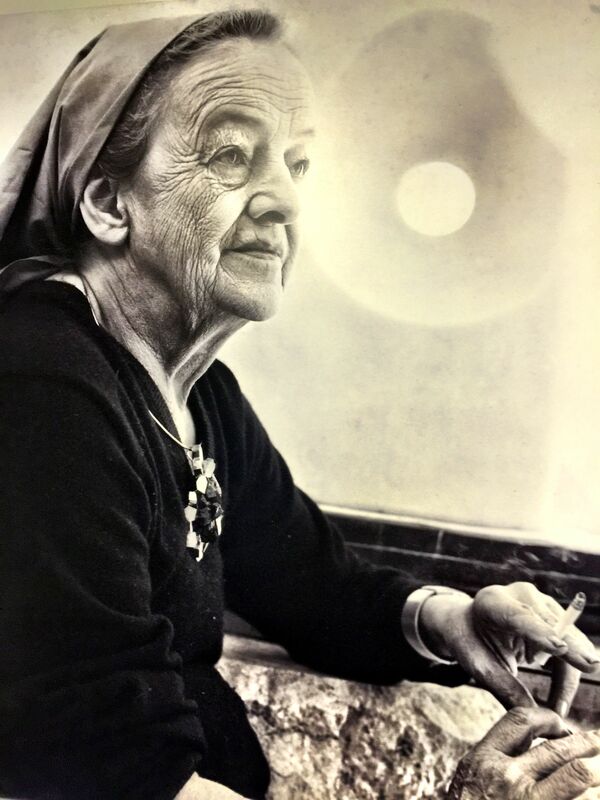 Barbara Hepworth died in a fire at her studio aged 72. She had been diagnosed with terminal lung and mouth cancer but sadly a smouldering cigarette caught light on some polythene sheets used on a daily basis to stop stone and plaster dust settling on her bed. Look out for the museum cat. A rather fine, bronze coloured creature that sits, sleeps or slinks beautifully amongst the sculptures having decided to make the museum it's home. Maybe Barbara never did leave her studio? Written by Alison McGregor, Lizard Peninsula Holiday Cottages. Portraits courtesy of Barbara Hepworth Museum and The National Gallery. Other photographs taken by Alison McGregor. Barbara Hepworth Museum & Sculpture Garden, Barnoon Hill, St Ives.